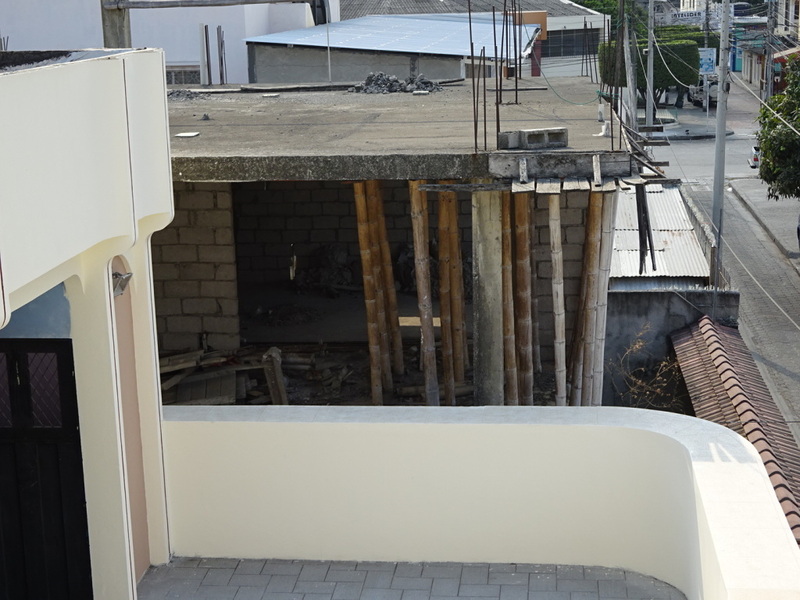 Posted on December 18, 2014 by No Map Required Posted in Ecuador, Places	. 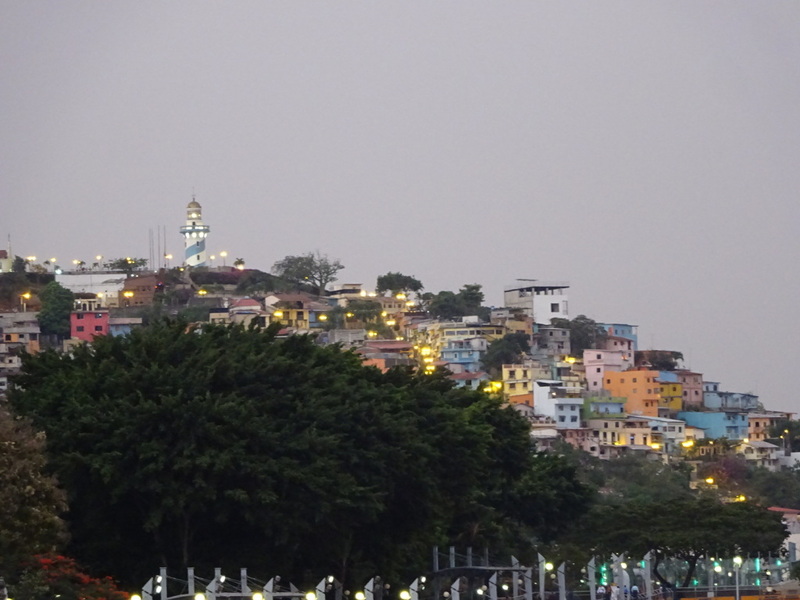 Guayaquil, Ecuador was originally only a quick stop for us, but Anner got sick there, so it ended up being a bit longer than we expected (3 days instead of only overnight). Thus, this quick post is all me! 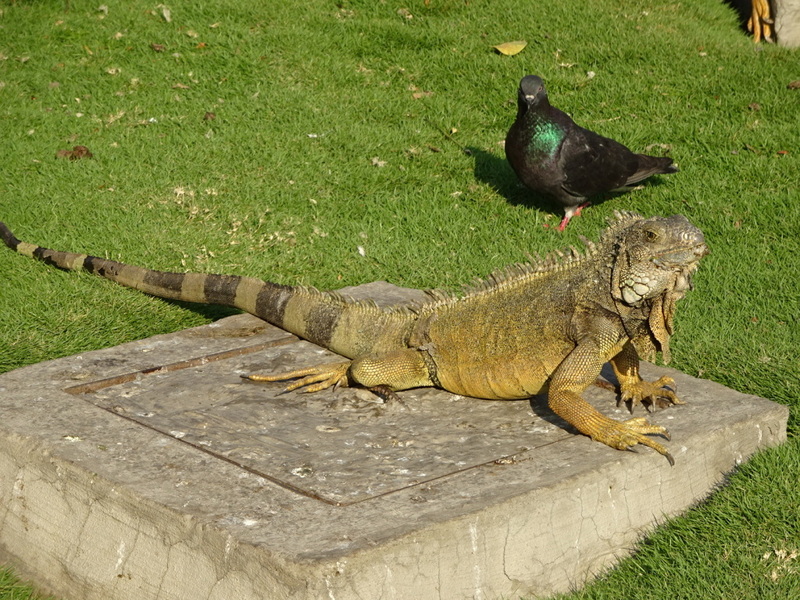 It was kind of a 2-part visit: fly-in day where we both went out to the Iguana Park and walked along the Malecon (the sea wall) and then a couple of days where I walked around our lodging neighborhood near the airport while Anner rested. Both had their highlights, so here’s some photos! 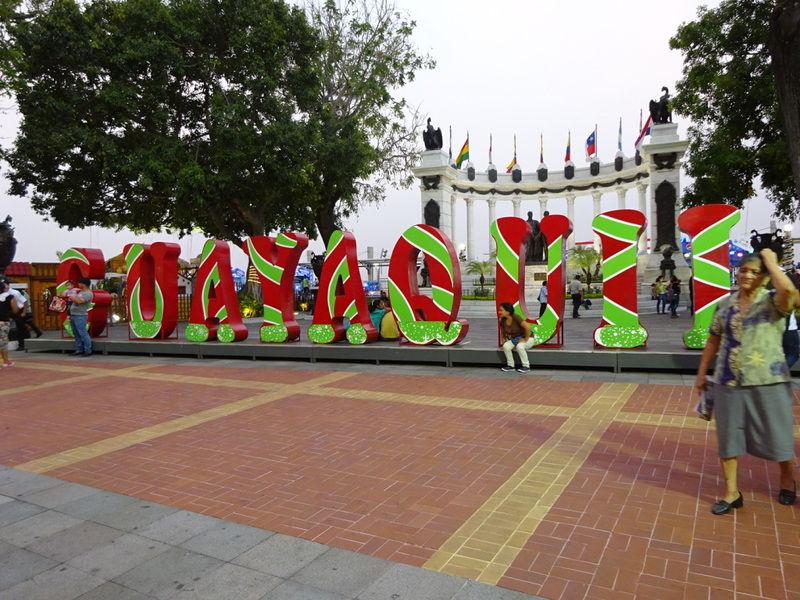 Christmas celebrations were in full swing on the Malecon (the sea wall walk). 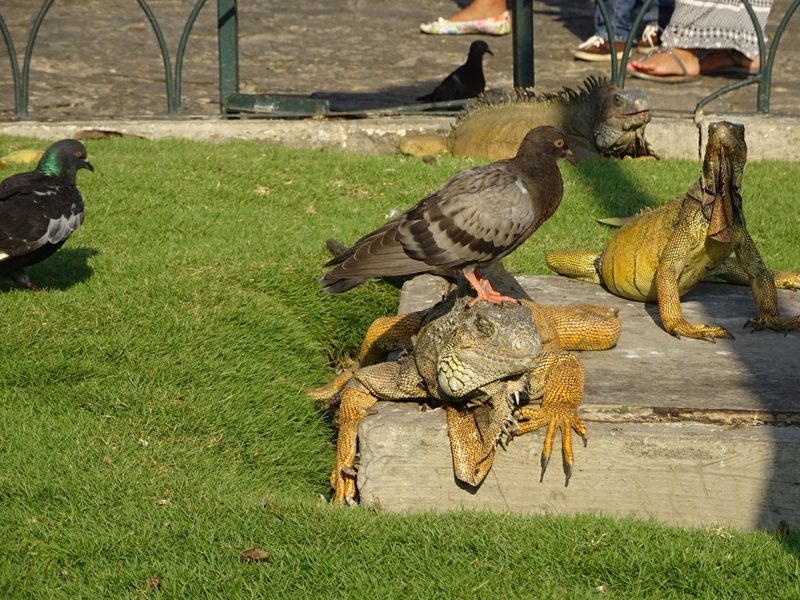 Iguana Park – there had to be around 75 or more here – on the ground, in the trees, everywhere! Anyone want a pigeon on their head? 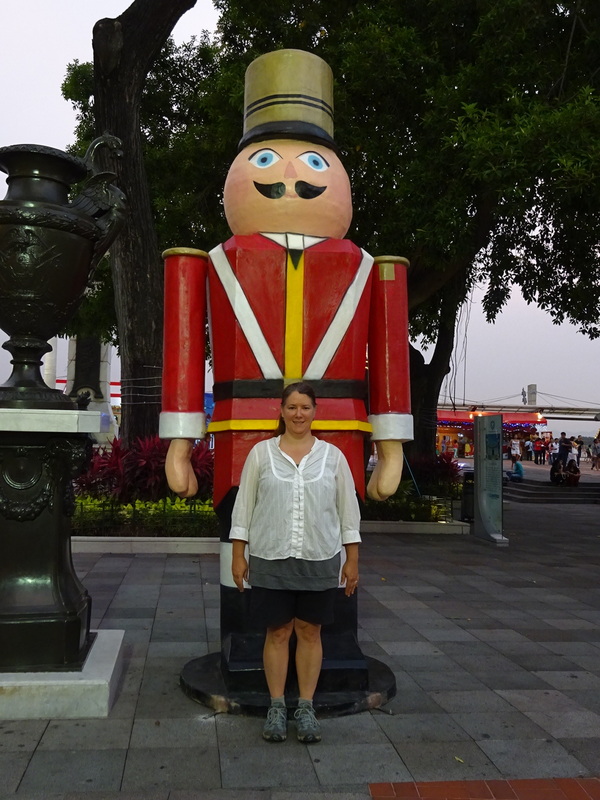 I think Anner could take the toy soldier – no problem! View of the Santa Ana neighborhood and lighthouse at one end of the Malecon – such beautiful soft sunset colors. Santa Ana close-up. 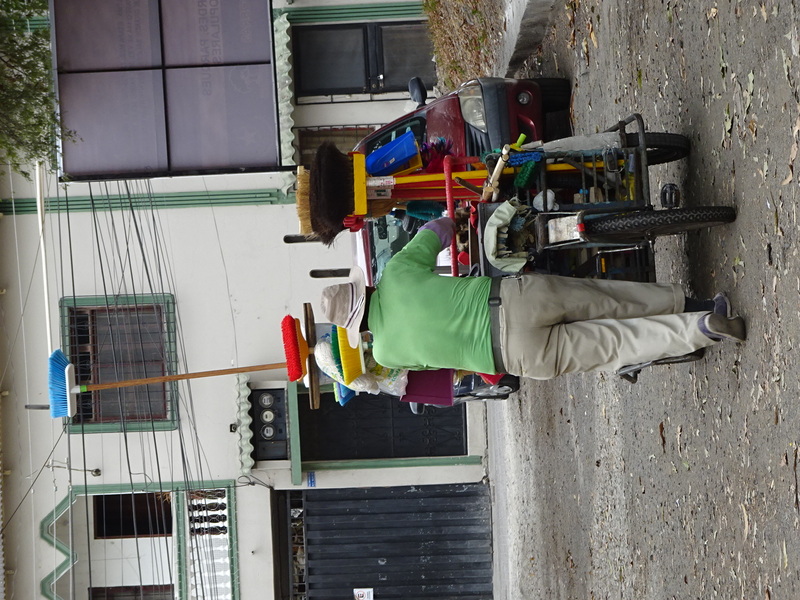 We plan to walk there the next time we’re in Guayaquil! Bamboo is pretty strong stuff holding up the entire floor! Later I think it’ll be replaced with concrete, but who knows? 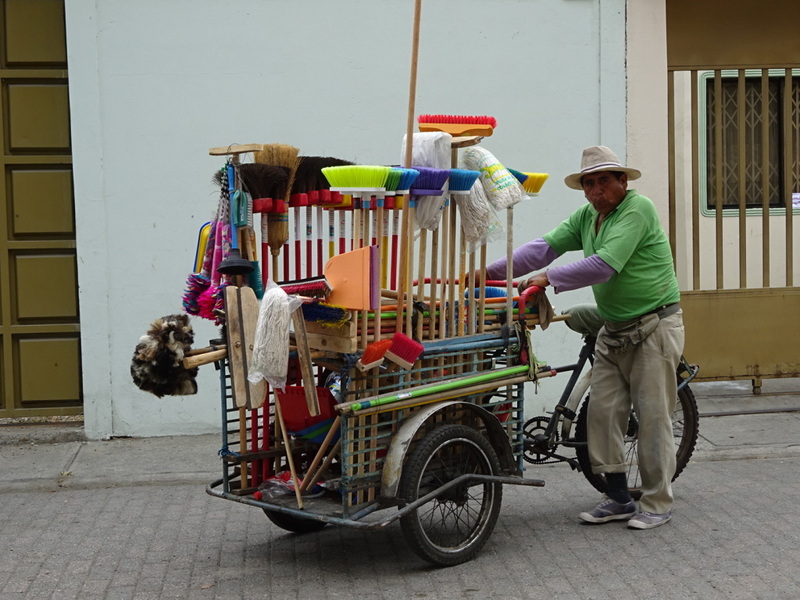 Selling brooms from a bicycle has got to be a hard way to make a living! 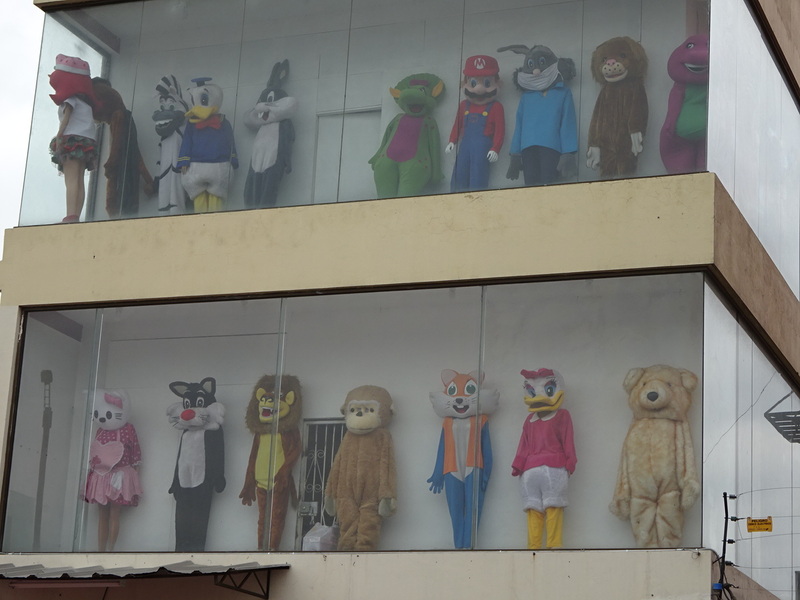 Near our room was this HUGE place selling costumes and party supplies – 3 stories with 6 windows like this one showing all sorts of different costumes! Crazy! 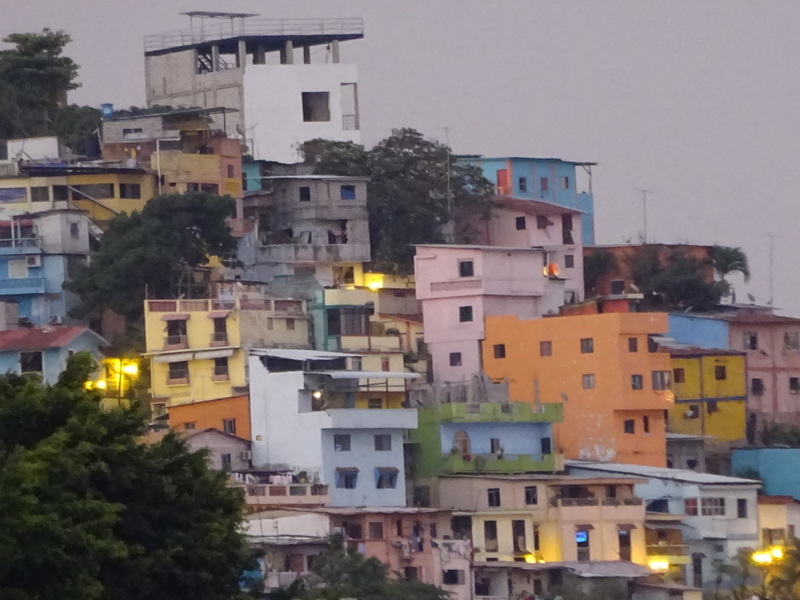 I really liked Guayaquil for the short time we were there – the people were incredibly friendly (like the two different shop owners who literally closed their shops so they could guide us places when we asked location questions! 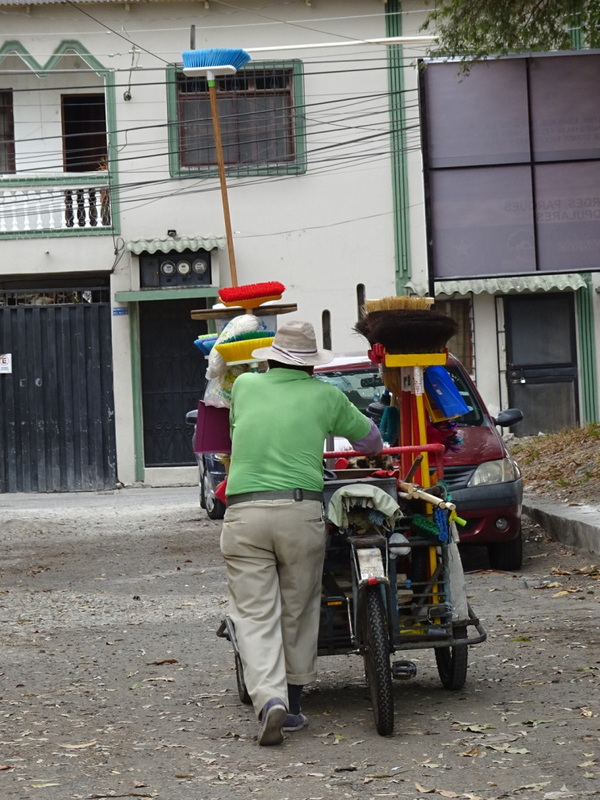 ), the heat was dry so we weren’t soaked through like in Costa Rica and Panama. Do stop by if you’re ever in Ecuador! PS – If you’re overnighting in Guayaquil, as many folks do on their way to Cuenca or other stops in Ecuador, I can’t recommend enough the AirB&B lodgings we had! David and his family were truly wonderful hosts.